Every person, with or without disability, has innate musicality within. Donna Lim, school directress of Within Events and Music School (W. E. M. S.), firmly believes in this and has always dreamed of building a training ground for kids with special needs. She thus developed the SPecial ARts KnowLEdge (Sparkle), a program that includes special music training, voice coaching, playing musical instruments, dancing, visual arts classes (photography, videography and editing). 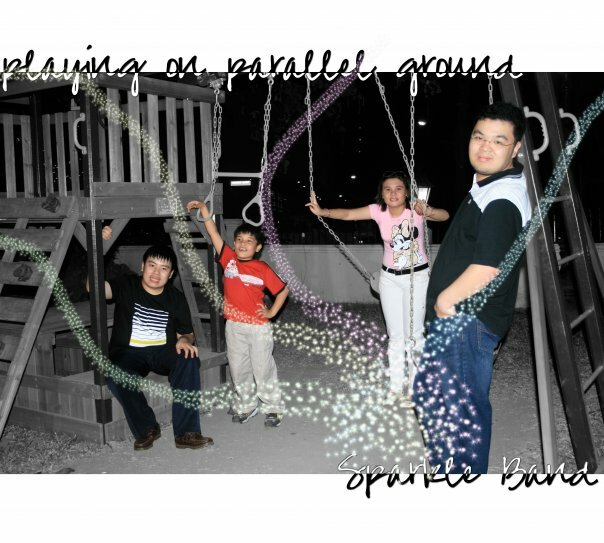 In Sparkle, teachers work side by side with designated therapists to make the classes productive and fruitful for the students with special needs. The school was born out of Donna’s love for daughter Desly, who has autism, as well as her passion for music. A musician by profession, Lim wanted to share her experiences and her talent in honing the skills of young musicians. “Love ko talaga yung music but I can’t be a vocalist for a long time so I decided to put up the school so I can share whatever I have to develop the talents of my students,” she says. Initially, W.E.M.S. catered only to regular children who want to learn how to play musical instruments and those who want to develop musical skills. Under the supervision of dedicated and trained instructors, the kids are exposed to different kinds of musical instruments. Potential students are then integrated with other musicians to form a band. This set-up, according to Lim, helps in the development of the children’s confidence, self-esteem, and social awareness. Although she was quite happy in teaching music to regular kids, she felt that she could do so much more specially to help her daughter whom she discovered to have autism at two years old. Lim didn’t quite know where to start at first. “Alam ko na kung ano ang autism, ini-explain na sa akin. Nandun na yung mga dapat gawin but then, hindi kaya ng isip ko, hindi kaya ng katawan ko. I couldn’t start,” Lim recalls. Her option was to undergo counseling. She was able to pick up the pieces thereafter, making sure that Desly would get early intervention. Lim reveals that her daughter became her inspiration in developing the said music program. “My daughter was already into painting but I wanted to know if there were other fields that she could explore such as music,” she says. Lim didn’t offer the Sparkle program right away. She wanted to make sure that it was well-polished so that it could help expand the abilities of children beyond conventional academics. “I wanted both simplified and modified techniques so it will be easier for the students to comprehend,” she explains. With the help of special musical trainers Raymond Lee, Joel Abella, and Joseph Dolor, the school is helping the children discover potentials that are seldom explored. Upon enrollment, assessment forms and recommendation from the therapists are carefully reviewed. Students with special needs usually start with playing the drums and the keyboards. Classes usually start with introduction to music and familiarization with different musical instruments before the kids can actually play. With the guidance of a behavioral therapist, the one-on-one classes become productive later on. To ensure that the kids will benefit from the program, the schools allows them that the kids with special needs can shift to another class anytime even if they are enrolled in the previous class. “For instance, this child in enrolled in a keyboards class but we discover later on na mas may potential pala siya sa vocals or drums, so we ask their parents to allow them to shift right away,” she says. Lim considers putting up the band “Sparkle” as one of her biggest achievements as a music teacher and as a parent. The band is composed of four young and talented musicians with special needs — Daryl Lim Tan on vocals/percussion, Desly Lim Alvarado on keyboards, Bryan Lu on percussion/vocals and Elijah Josef “EJ” Balila on drums. The members, despite having autism, continue to show focus, coordination and determination during shows and rehearsals. The band has already come up with an all-original album called “Playing On Paralleled Ground” that talks about the experiences of the members. Lim conceptualized the album but the inspiration came from the members. The album has six songs including it’s carrier single “One Day You’ll See,” “Kassandra Camille” “La la la-Love,” “Missing You,” “Bukas,” and the song for the elections, “Vote 2010.” “Kanya-kanya sila pero bawat kanta talks about the experiences that they go through,” she says. Lim believes these kids will go a long way. “When you see them perform, you wouldn’t think it would be possible to form a band with these kids, let alone, put them together in one room,” she quips. Uploaded with permission from Manila Bulletin "Hope that Sparkles"